Just a little about the shop owner! Susan McCarthy of Wee Cat Creations has been knitting since age 8 when she learned to make an owl in a class taught at her town’s junior library. She’s been crocheting since her early 20s when a coworker taught her how during a slow summer selling housewares at the mall. She started filling her Etsy shop with accessories made from combinations of yarns in yummy colors and touchable textures in 2012 when her new husband’s health issues forced him to retire at age 52. With take-anywhere yarn, knitting needles, and crochet hooks, Susan is able to spend more time with her husband and enjoy the meditative action of knitting and crochet. I love scarfs and all things handmade so when I came across Wee Cat Creations I was in love! 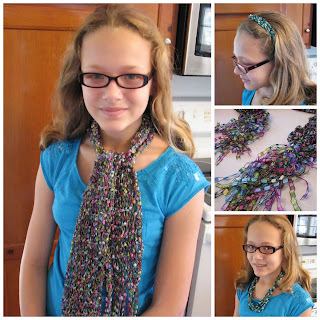 I have never seen scarves made from this type of yarn it makes a super bright and colorful scarf! I also love the fact that it is more of a fashion scarf and not a really bulky heavy scarf! 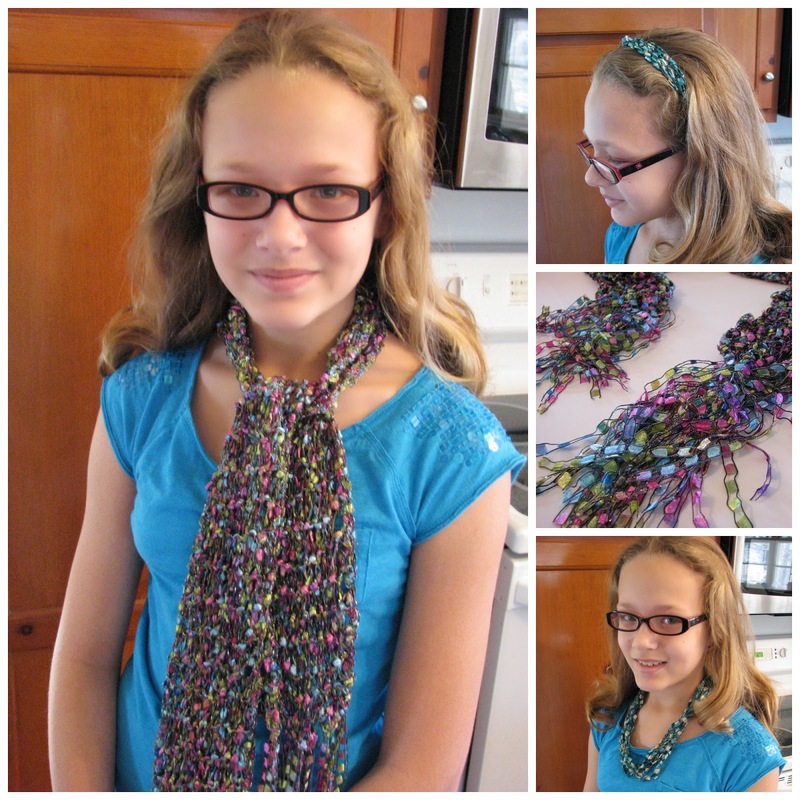 Let me show you how cute these scarves really are! She also makes headbands and necklace form the same material and they are to die for! Wee Cat Creations makes more than just scarves if you can create it she probably has it let me show you a few more really neat items from her shop! Wee Cat Creations and Faith Filled Footsteps are offering one lucky readers a chance to win a $50.00 Gift Certificate to find the perfect item for yourself or a love one! If you just cannot wait to see if you are the winner and you need to get your hands on these wonderful item now you can find them here! The Giveaway will run from December 2, 2013 and close late on the evening of December 16, 2013. The winner will be chosen at random through Rafflecopter. The winner will be announced both on the Rafflecopter as well as Faith Filled Footsteps Facebook. Faith Filled Footsteps is not responsible for prize shipment. Must be 18 years and older. Facebook, Twitter, Pinterest, and Google are in no way affiliated with this giveaway. No Purchase Necessary. US Only.